HepCBC really appreciates all donations; no donation is too small! We are a small group confronting a big problem and need as much help as we can. For ways individuals, small businesses, large corporations, and foundations can donate, see below. We truly know how little money some HCV+ people survive on, yet they contribute what they can to make sure we can continue helping people like themselves. How does HepCBC use its donations? Card Card donations made online via the “Donate Now” link above, or via the “Donate” link at top right of every page on this site; this links to a secure “Canada Helps” charity donation site. Cheque is sent to our office, made out to “HepCBC Hepatitis C Education and Prevention Society”. SPECIAL DONATION online to HepCBC Liver Warriors (Victoria, BC Goodlife) Marathon Team here. Enter “HepCBC Liver Warrior”. Donations of goods for a GO-BID charity auction or contest prize may be considered – please pre-arrange through our office (250-595-3892). Bequests through your Will and “Living Legacies” are greatly appreciated. Please contact HepCBC by phone, letter, or email to discuss these options. You will automatically receive a charitable receipt early in the next year if donation is $10 or over. For amounts less than this, you can request a receipt. Gift cards offering goods or services are very much appreciated, especially for food, lodging, travel supplies, or prizes for an event. Consider allowing HepCBC to place a donation container and pamphlets near your cash register. HepCBC normally submits a grant application several months in advance of commencement of the proposed activity or project. 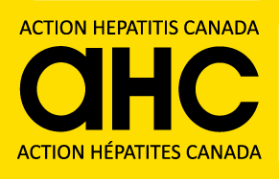 Cheque or draft is sent to our office, made out to “HepCBC Hepatitis C Education and Prevention Society”.